Special CD / DVD edition version 2009 from the horn of life, including bonus DVD contains two hours plus of the concert. 40-minute bonus behind the scenes. 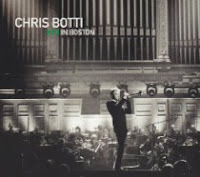 Chris Botti at Boston was a jazz trumpeter and a chart-topping special guest at the historic Boston Symphony Hall with Keith Lockhart and Boston Pops to maintain in 1918 and 09/19/2008. Includes guest appearances by Josh Groban, Yo-Yo Ma, John Mayer, Katharine McPhee, Sting, Steven Tyler and Lucia Micarelli.